On March 2, 2018, the Ethiopian Parliament approved a new six-month state of emergency declared by the Ethiopian Council of Minsters on 16 February, although the voting results were disputed. 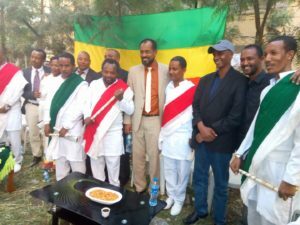 Protests erupted in different parts of the country, mainly Oromia region, in response to the declaration. The state of emergency places similar draconian restrictions on fundamental freedoms to the previous one, which was in place between October 2016 and August 2017. Since 2 March, in Oromia towns of Nekemte, Ambo, Gimbi, Dambi Dolo, AHRE has found that at least 7 people have been killed by military forces. AHRE’s sources confirmed that many protesters were wounded after security forces used live ammunition against them. Doctors at hospitals in these Oromia towns reported that more casualties were documented in the last few days amid clashes between protestors and military forces. 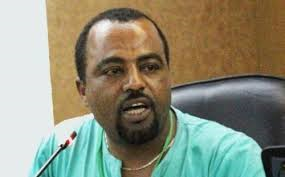 AHRE also received information that hundreds of people were arrested for violating the state of emergency, a few weeks after the government released thousands of prisoners, including high profile political prisoners such as Eskindir Nega, Dr. Merara Gudina, Bekele Gerba, and Yonatan Tesfaye. They have not been charged and their current location is unknown. On 8 March, during the visit of U.S. Secretary of State Rex Tillerson to Addis Ababa, prominent blogger and university lecturer Seyoum Teshome was arrested. Sources report that security forces surrounded his home in Woliso Campus and searched his house. Seyoum was taken to an unknown location. He was detained in a camp for 2 months under the previous state of emergency for posting criticism of the government online. On March 6, 2018, officials from Ethiopia’s Immigration department deported British journalist William Davison. He was detained at Immigration Main Department before being told to leave the country or be taken to the police station jail. For the last 7 months Ethiopian authorities have failed to grant Davison accreditation. AHRE condemns the government’s continued violation of civil and political rights through the declaration of a new state of emergency and repression, arrest and killing of protestors. It urges the government to release all political prisoners and hold an inclusive and genuine dialogue to begin a much-needed reform process in the country. ⁃ Lift the ban on basic freedoms and fundamental rights that are enforced by the authorities and Command Post following the declaration of the state of emergency.